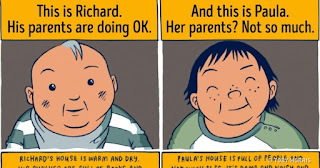 Toby Morris, an Australian illustrator,This is a short story about two people born into completely different families.We think it’s well worth reading. This post was republished from bright side. You can find the original post here.